Welcome to another addition of Friday Food Links. This week learn the science behind baking a cake, learn how to pair foods you never thought would go together, and make your own soy blueberry ice cream, plus other interesting recipes. We search for yummy food links and recipes, so you don’t have to. Enjoy! 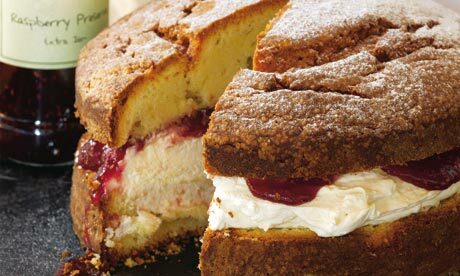 In-depth article on the science of baking a cake. Most have heard of the ‘Dark Side of the Rainbow’; the pairing of The Wizard of Oz visuals with Pink Floyd‘s Dark Side of the Moon audio. When played in unison, they appear to synchronize. Here is another sychronistic match up that’ll blow you away: Pink Floyd’s “The Gunner’s Dream” set to Heavy Metal‘s “B-17″ segment. A daily dose of eye candy to highlight artworks we find for your viewing pleasure and inspiration. 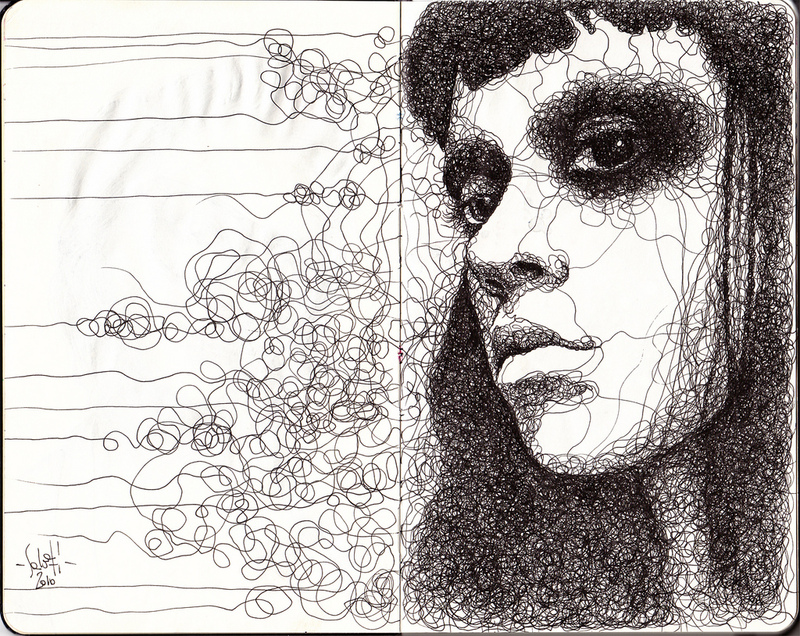 This edition we highlight Moleskine Art. History of the Moleskine: Notebooks with the same features as the present Moleskine notebooks were a popular standard in 19th and 20th century Europe, handmade by small French bookbinders who supplied the stationery shops of Paris. Moleskines have been used as war journals, as mind mapping journals for famous novelists, as sketch pads for famous artists and as meditations by famous philosophers, such as Oscar Wilde, Vincent Van Gogh, Pablo Picasso, Ernest Hemingway and Henri Matisse. Moleskines are manufactured by Moleskine Srl, an Italian company based in Milan. The company has even produced a Kindle Moleskine Cover. Not only is the tune awesome, but this official music video for the Blockheads ‘The Music Scene’ is a mind tripping animated experience. Set in New York where TV and animals rule. 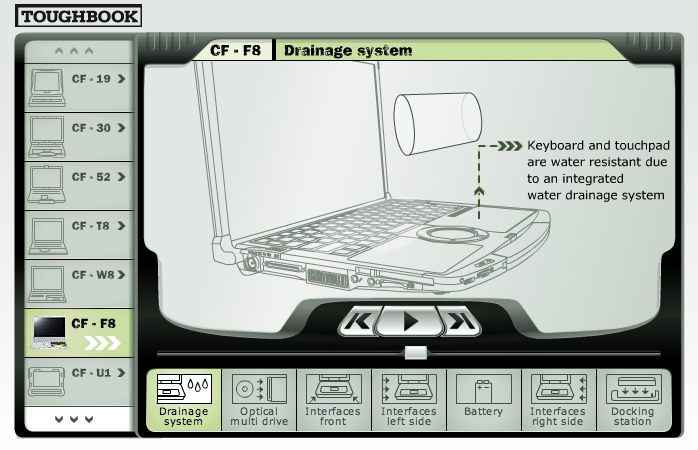 In what conditions can this laptop survive? 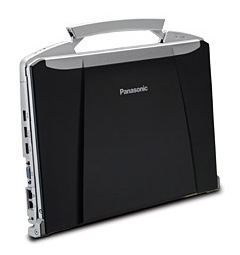 Panasonic Toughbook F9 is all about–great specs within and intense protection outside. The Toughbook F9 features a 14.1″ widescreen 1440 x 900 WXGA+ LCD with an external video support that can display up to 1920 x 1200 resolution at 16.7 million colors. It also has a Bluetooth connectivity, PC card type II x 1 and SDHC expansion slots, integrated stereo speakers, electrostatic touchpad with circular scrolling, and USB 2.0 port. For security, the Toughbook F9 has password security, TPM security chip v.1.2, Computrace theft protection agent in BIOS, and cable lock slot. There is also optional fingerprint reader and SmartCard reader. Blah blah blah. Where are the specs on it durability? How far can I throw it? Can I drop it in a pool? Will it survive a day in hell? Can we do THIS to it??? I don’t think so. For now all it has is a 320GB shock-mounted flex-connect hard drive to secure files, a 1′ drop rating, as well as spill-resistant 87-key keyboard so you’ll never worry of accidentally spilling out of liquid that normally happens at home, office, or at any desk. Can’t have everything. At least it is durable enough to survive those who stupidly put liquids next to their laptop and sturdy enough be handled by the TSA who might not be so gentle. An exhibition of new works by Antony Gormley is currently on view at the White Cube, Mason’s Yard in London. The artist has created a new-site specific installation and a new series of cast-iron block work sculptures. The works aim to depict how time engages with objects and how in turn objects influence human beings. Gormley exhibits Breathing Room III (2010) (shown above) in the lower gallery room, the third in this series of works which involve the viewer’s involvement in a shifting ground. 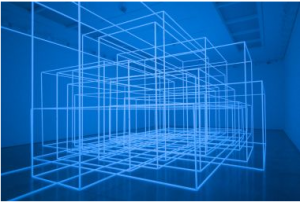 The work is made from 15 inter-connecting photo-luminescent space frames; the total volume is equivalent to that of the internal gallery space. Gabriel Moreno is an illustrator, engraver and painter based in Madrid, who graduated of Fine Arts in the University of Sevilla in 1998. Since then he has worked in different design studios and ad agencies in Andalusia. In 2004 he moves to Madrid. 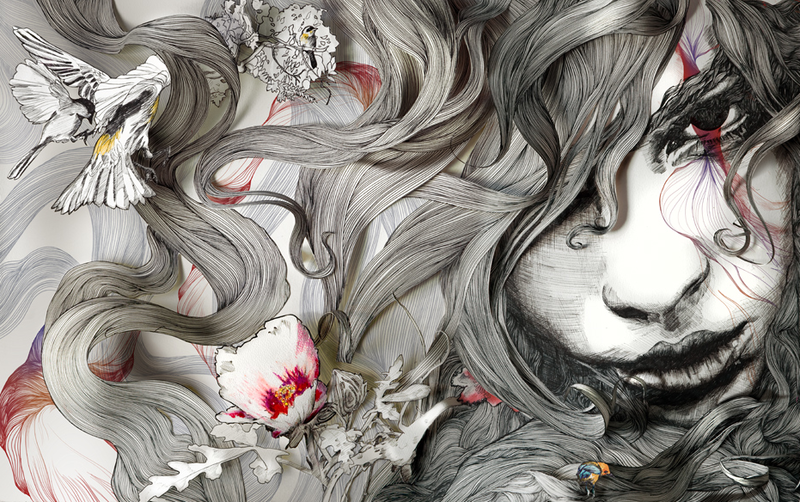 In June 2007 he begins to show his portfolio and after being selected amongst the 20 new talents of illustration, by the London based magazine Computer Arts, he begins his succesful carreer as an illustrator.